ISLAMABAD, Oct 25 (APP):United Nations Industrial Development organization (UNIDO) launched an advocacy Campaign here on Tuesday to foster innovative solutions and women in ‘Green Industries’ for a sustainable and economically viable future. Green industry is aimed at mainstreaming environmental, climate and social considerations into the operations of enterprises. The greening of existing and the creation of new green industries bear great potential and entry points to achieve inclusive and sustainable industrial development, which is the core principle of UNIDO. Under this mandate, UNIDO helps developing countries to secure resource-efficient low-carbon growth. This creates new jobs while protecting the environment. 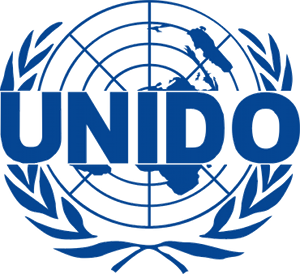 The UNIDO help developing countries move to clean technologies and implement environmental agreements. It also provide services and expertise to promote sustainable patterns of production. UNIDO believes that enabling policy environment coupled with deliberate action by government, the private sector, and development practitioners among others, are necessary to utilize the full potential of women’s participation in green growth. Women are important agents of change, and a more equal inclusion of both women and men could propel green industry and lead to better development outcomes. Speaking on the occassion Secretary Ministry of Industries and Production Khizer Hayat Gondal said “I feel really privileged to be at this august ceremony of the launch of “Women in Green Industry” advocacy campaign”. “I appreciate the focus of this programme on two very important issues and the way UNIDO has merged women and green industry related issues, is commendable”, he added. He said as green industry has the potential to deliver on both environmental and economic objectives of the economy and its long-term benefits-improved energy security and environmental and public health are well understood. A growing body of research confirms additional near-term benefits, which include the potential to create more and better jobs and businesses especially for women. Khizer Hayat Gondal ensures its full support to UNIDO in this noble initiative and since Islamabad Chamber of Commerce and Industry is also involved in this project which is hub of all industrial and commercial stalwarts, there is no doubt in proper implementation of this initiative. “I feel this campaign would definitely promote green entrepreneurship for women by bringing together all stakeholders, to secure commitments and mobilize actions, in support of sustainable industrial models”, he added. a shared interest in green Industry for networking, peer support and exchange with access to success stories of women entrepreneurs and leaders. All activities of this initiative should be closely coordinated with UNIDO, MoIP and other partners while UNIDO being the hub of this campaign. “Women in Green Industry” as it not only conforms to our objectives but also extends and deepens our resolve to work for the betterment of industry and production in Pakistan”, the secretary concluded.